WHAT: A handmade churro basket rolled in cinnamon sugar, filled with ice cream, salted caramel, melted chocolate - topped with a chocolate bunny and Easter eggs! 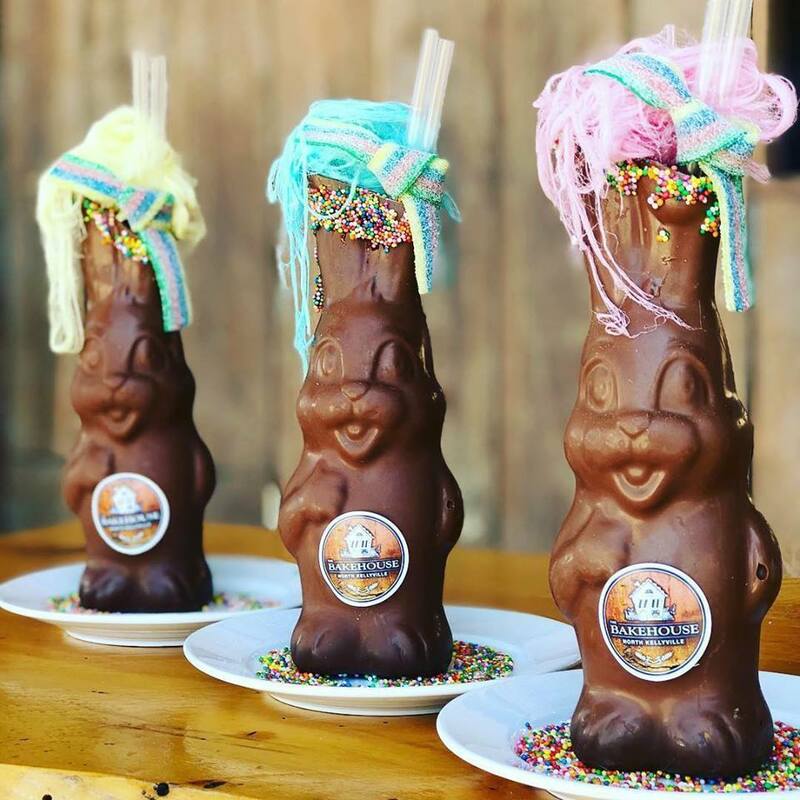 WHAT: Chocolate Easter bunnies are filled with a milkshake and then topped with fresh cream and sprinkles. 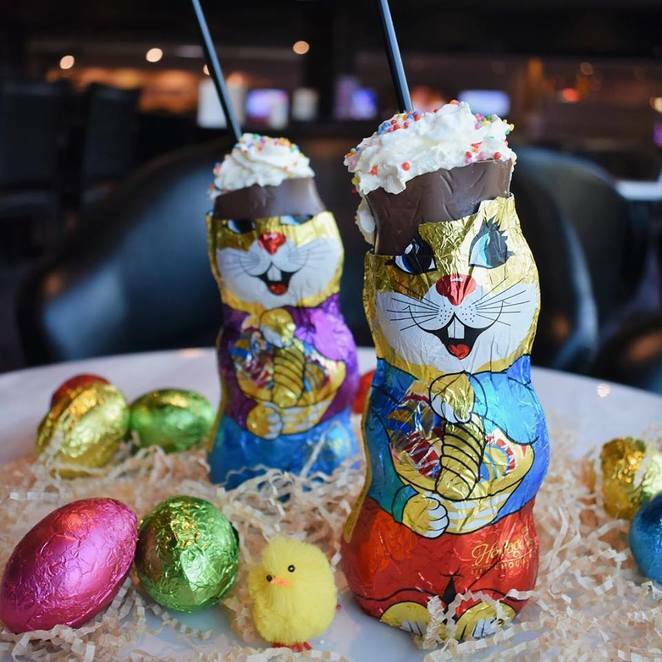 They are also serving up Easter egg mocha affogatos! 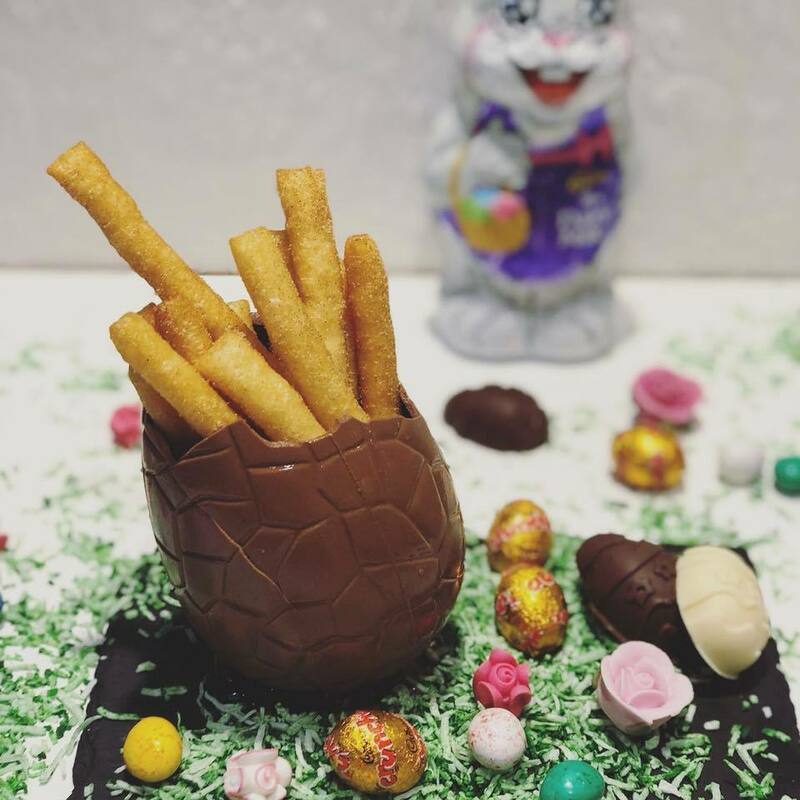 WHAT: Delicious donut fries are served in a Cadbury Easter egg with extra eggs and other sweeties served alongside! WHAT: 3 different flavoured milkshake bunnies adorned with fairyfloss, sour straps and sprinkles! 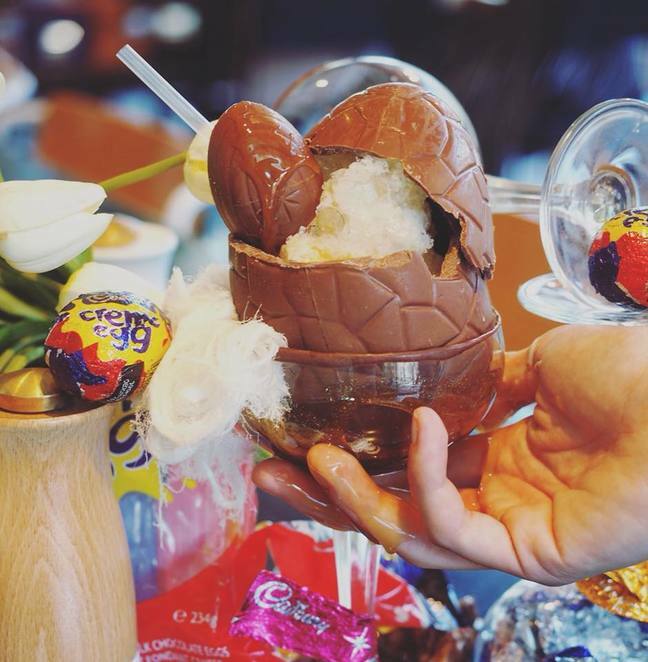 WHAT: Half a large Easter egg is filled with crunchy shortbread and cheesecake, then topped with melted creme egg and actual Creme Eggs! WHAT: This cutie patootie chocolate plane is filled with mixed lollies. Once you crack it open, they all spill out. 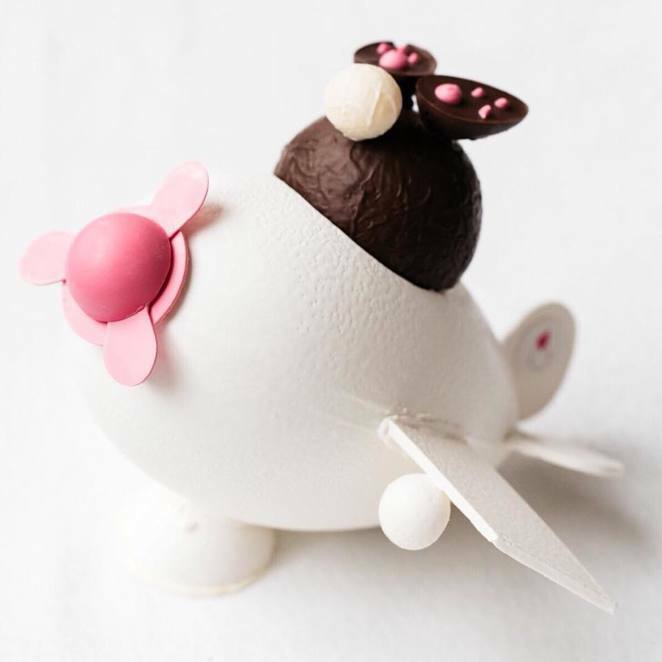 This creation by the pastry wizardess, Anna Polyviou, is not the only decadent treat available. You can also indulge in a special Easter-themed high tea created by Anna, full of whimsical morsels for you to enjoy. WHAT: You dip warm, baby hot cross buns in melted chocolate, then dip them again into baby marshmallows, sprinkles, cookie crumbs and more! 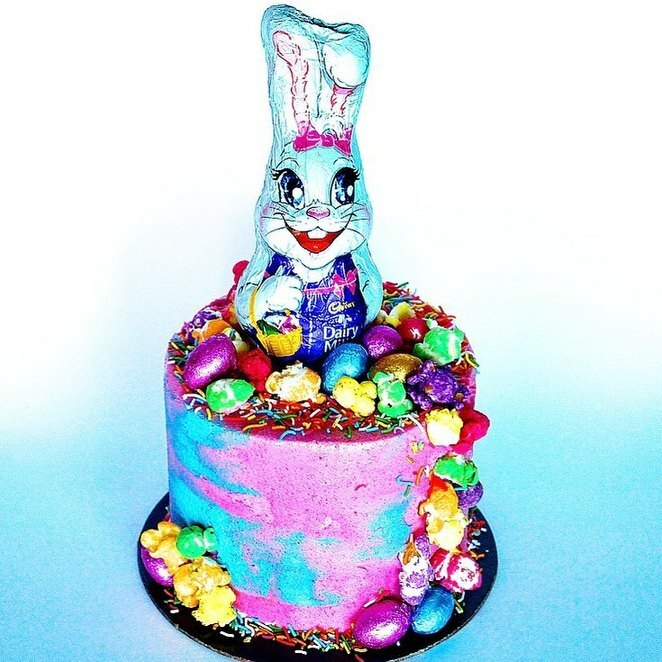 WHAT: A sweet little cake (that actually serves 8), has a centre of sweetness with the Easter Bunny at the top, as well as eggs and popcorn for decoration. There are also other cakes in the range and they will deliver on Easter Saturday and Sunday! 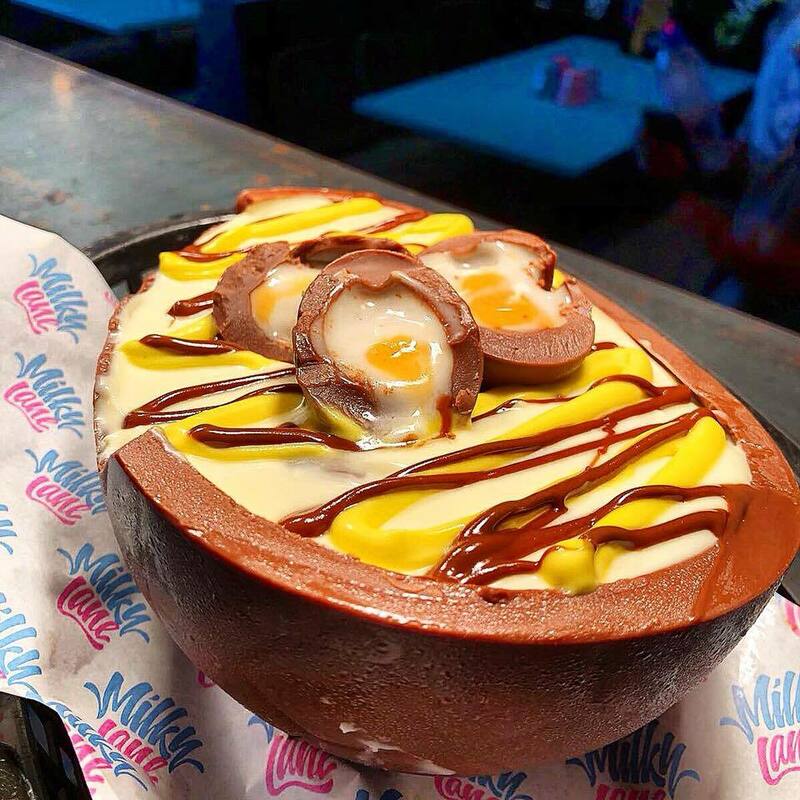 WHAT: A Cadbury Creme Egg inspired cocktail in served inside a large chocolate Easter egg with a small creme egg served as a garnish! 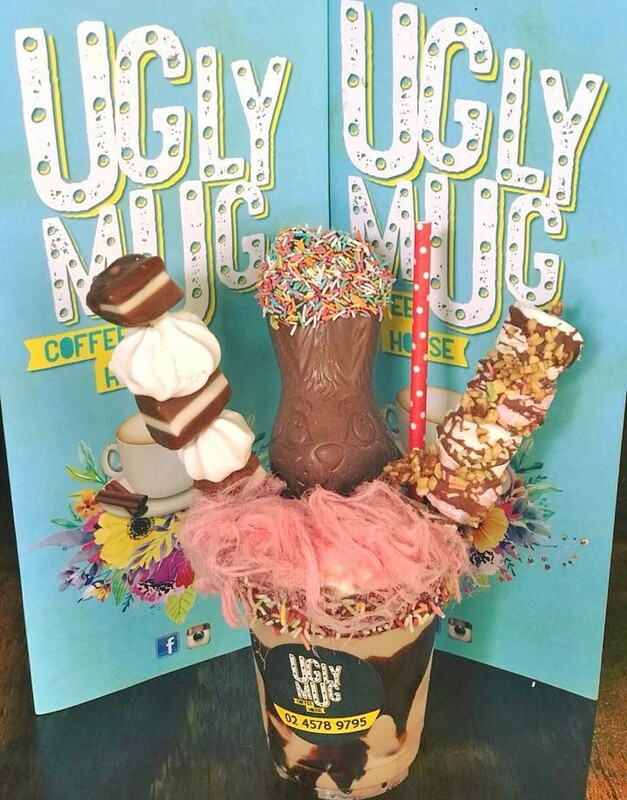 WHAT: A massive Easter Freak Shake with a chocolate Easter Bunny, skewers full of sweet treats and pashmak fairyfloss to top it all off! So this year you can go on an 'Easter Egg Hunt' of a different kind. Hop all over Sydney sampling some (or all) of these amazing looking treats, but maybe wear your stretchy pants and not your skinny jeans! 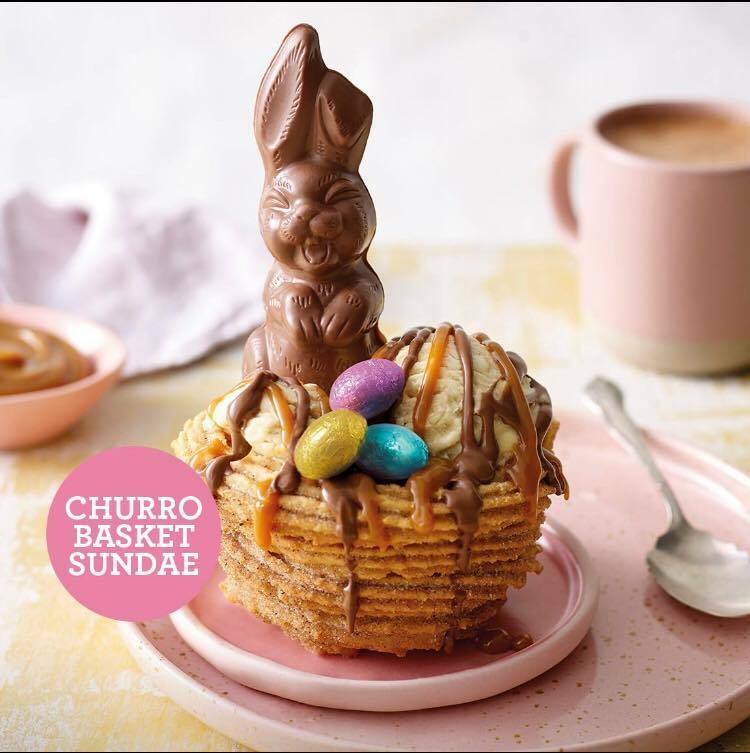 Do you know of any other decadent Easter Treats we should be sampling in the next couple of weeks? lol great review, you've got me salivating, hopping off to buy some ordinary chocolate ... have a Happy Easter! Great article. These places are really going over the top for Easter. 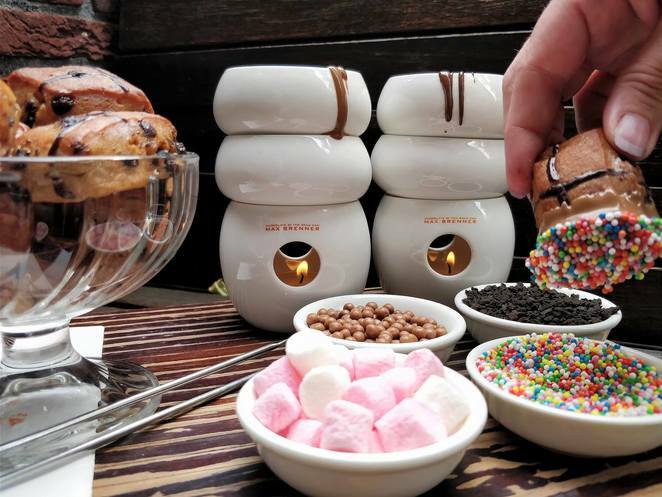 Another one is Milky Lane at Bondi, Cronulla and Parramatta doing a Kinder egg filled with a Baileys shot and topped with chocolate sprinkles that sounds good.